We are delighted to be hosting the second annual Handmade Hanukkah Market in the Satisky Hall on Sunday, November 15, 2015 from 10:00 AM – 3:00 PM. This festive market kicks off the holiday shopping season by celebrating our local Jewish artisans. Why Come to the Handmade Hanukkah Market? The Market is open to everyone and you do not need to be Jewish to attend. In addition to finding great Hanukkah presents, you can also find one-of-a-kind gifts for Christmas, birthdays, house warming parties, weddings, and other celebrations, too. Tell your friends; you don’t want to miss this fantastic event! How Much Does The Market Cost? The Handmade Hanukkah Market is free and open to the public. Accepted forms of payment are up to each artist individually, and while many artisans do accept credit cards, some may only accept cash. The Market will consist of crafts ranging in price from $1 to $500. Do you have any questions after reading this post? Do you want to see the kinds of things for sale or photos from last year’s event? Check out the gallery page for pictures of our featured artists’ work, artisans page for pictures from previous years’ events and the FAQ page for answers to common questions. If you have any questions, please don’t hesitate to let us know. We hope to see you on November 15th! 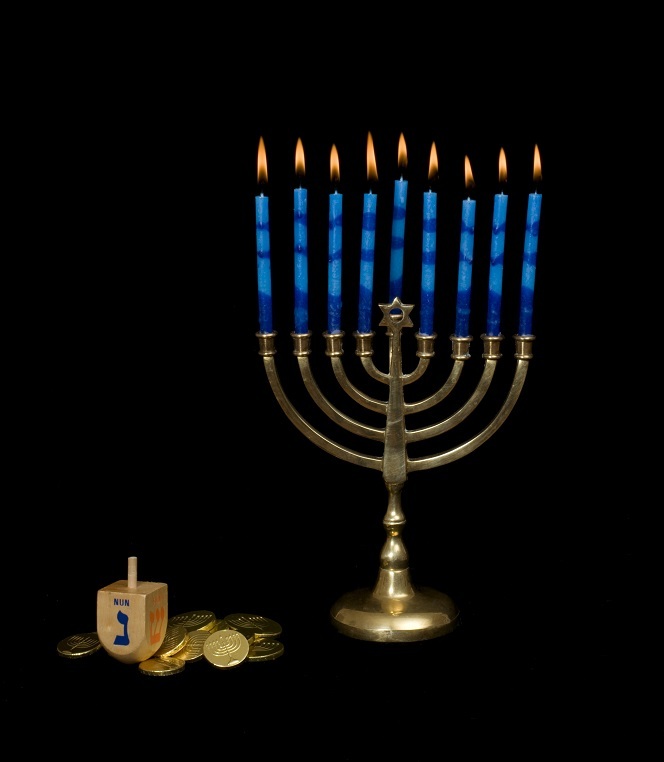 Lighted Hanukkah menorah with a dreidel and gelt at the base set against a black background.